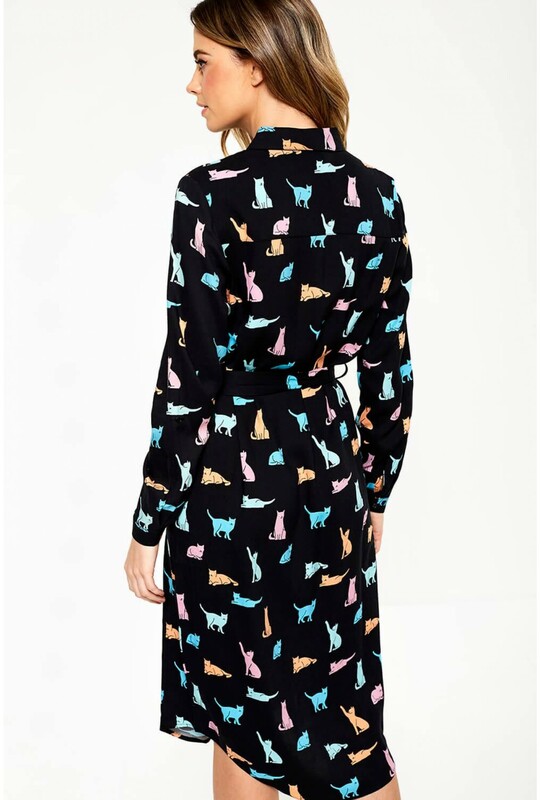 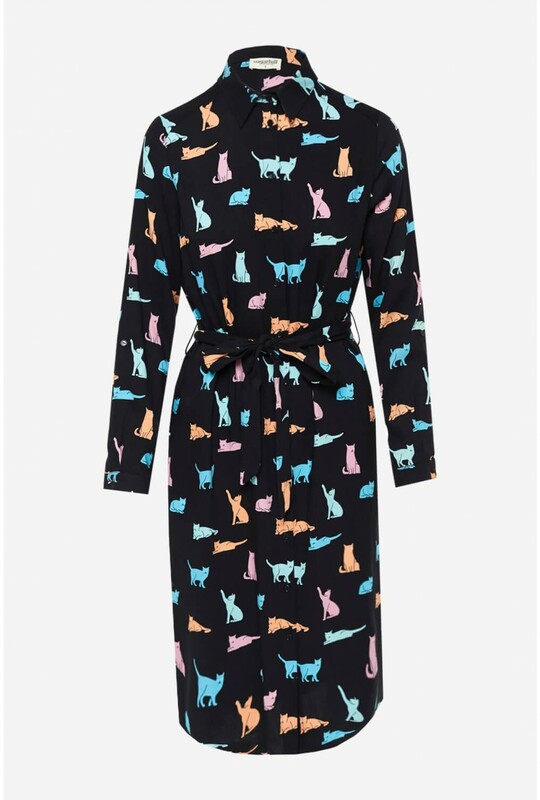 Make a statement in this striking all over cats print shirt dress. 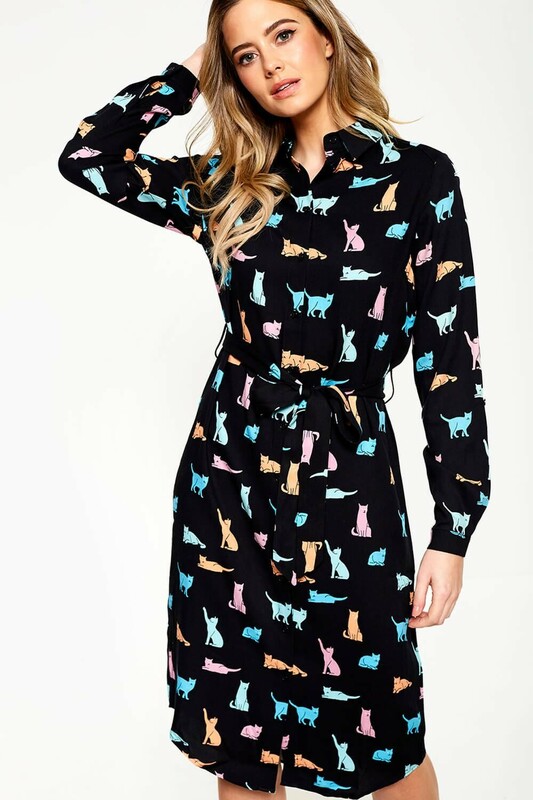 In a relaxed fit, button up front and tie-waist to cinch in the waist. 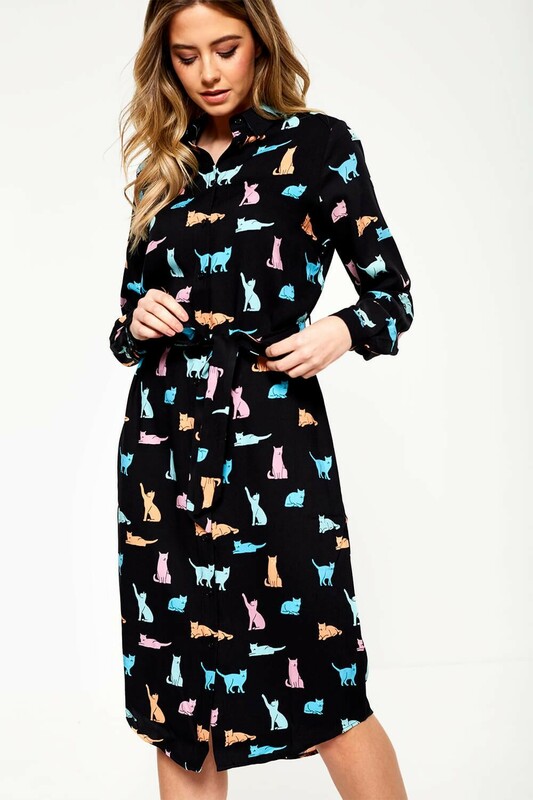 An easy style to dress up or down.